I’m not sure why this Kickstarter project to make a documentary called ALIVE INSIDE: A Story of Music & Memory hasn’t done better. Maybe we’re all tapped out? You might have seen the video of Henry on YouTube. He’s the alzheimer’s patient who comes to life when someone puts an ipod on his head. “Music is inseparable from emotion,” Oliver Sacks says in the trailer. So I’ve learned after spending the past few years researching the science of singing and music. There is a real physical effect. For $75 you can “choose to either receive an iPod or have our team deliver an iPod, in your name, directly to an elder who needs it. We’ll also arrange the consultation to set up their playlists with the songs that touch them the most.” You don’t have to give this much, but that’s the one I went for. I couldn’t resist that reward. Not too long ago I read about a study that found that the happiness from spending money on others rather than yourself is more lasting. I know there are many many worthwhile projects out there, but maybe you might consider contributing to this one. 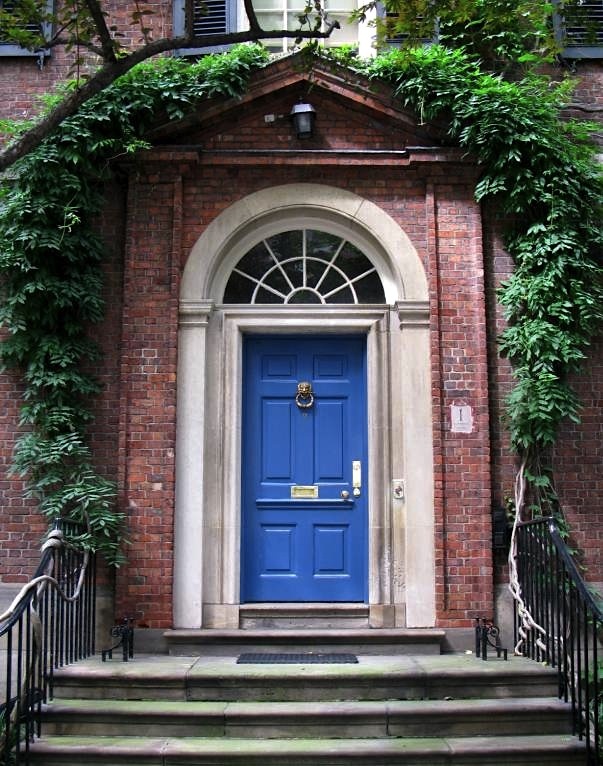 A doorway to a house on Sutton Place, a very ritzy address in Manhattan, although you don’t hear about it anymore. I wonder why that is. Actually, people don’t say “ritzy” anymore either.